How can I add a recipient to BFX? To add your recipient details, click on your profile in the top right corner of your user screen to access the recipients page. You will find a list of all your recipients on this page. You can also edit recipients. 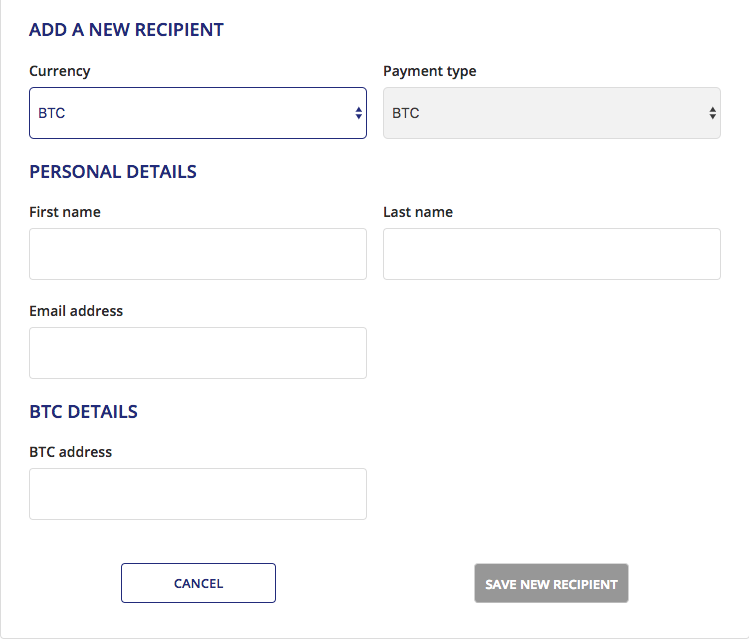 You can also add a recipient while creating a transaction. Click +Add a new recipient enter all details in the new page as instructed and save to proceed with the transaction.